Great Read - Judy Moody Declares Independence and Sybil Ludington! - HAPPINESS IS WATERMELON SHAPED! 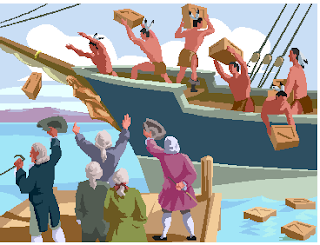 Great Read - Judy Moody Declares Independence and Sybil Ludington! At this time of year, I'm always looking for an engaging chapter book. 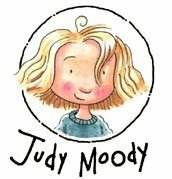 I would like to recommend Judy Moody Declares Independence. In this book, Judy and her family travel from their home in Virginia to Boston, Massachusetts. When in Boston, the family visits many popular tourist attractions: the Freedom Trail, Mother Goose's grave, Paul Revere's house, the Boston Tea Party ship, etc. The book offers an opportunity to review Social Studies and proper behavior. For example, Judy tries to declare her independence by not combing her hair, while Stink counters with not brushing his teeth. Judy also writes her own "Declaration of Independence" and tries to gain more freedoms in the process. The chapter about the "Boston Tub Party" is especially funny. Judy, Stink and a neighbor reenact the Boston Tea Party in the comfort of the Moody's home bathroom. What an ingenious idea - as long as it's not in your own bath tub! 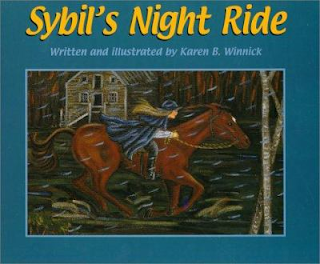 Additionally, Judy's teacher recommends a book about Sybil Ludington. Judy refers to this real life heroine as the "girl Paul Revere." I read this book to my class, too, because it is true that there are few women in social studies book, and it is a true story. Here are 2 editions of the book. I read the top book by Karen Winnick.